Edit: Ah! 21! My fav number, this is our year! "After six years, three FA Cup wins and countless incredible memories, the time has come for me to move on from Arsenal. I want to publicly thank Arsene, the coaching and club staff and my amazing team mates for all of the incredible opportunities I have been given. Thank you so much to you, the fans, who have always had my back - I honestly couldn't be more grateful. The club, and my time here, will always mean a massive amount to me. I know my choice might come as a surprise to many, and the decision to leave was tough after being a part of the club for so many years, but I feel that this move is right for the next stage in my ongoing development." Welcome to Anfield, Perrie Edwards!! I was for this transfer, made up it's happened, think he'll flourish here. Maybe be like a Patrik Berger type player. More depth that isn't meh oh look who we have on the bench today type of feeling. Is right, the owners could possibly be giving us all that transfer window we've been hearing they're capable of. Said after the Fa Cup victory to Gerrard that he grew up wanting to play centre midfield and be like him. Good luck to the lad in making it happen. Big fan of Lucas obviously. Alex + all of the clubs main sponsors. You're getting cynical in your old age mate. Apart from saying "welcome" I'm going to hold off on this one for a bit until I see how Klopp is going to use him. It might be the case at Arsenal where his ability to play in different positions meant he was shifted around a bit too much which maybe slowed his progression, in which case he's better than I think he was at arsenal. As ever, time will tell, but until then, welcome aboard and good luck. Have to admit, never thought he was where we should be putting the bulk of our attention this window, but he will be good cover to have in midfield and on the wings. Hopefully Klopp can work his magic and turn him into a world-beater. Looking forward to seeing what he can do and it can't be questioned at least that he looks like he'll give his all for the shirt. At least we have signed a player, where the money is not, the number one object. Welcome to the club Alex. 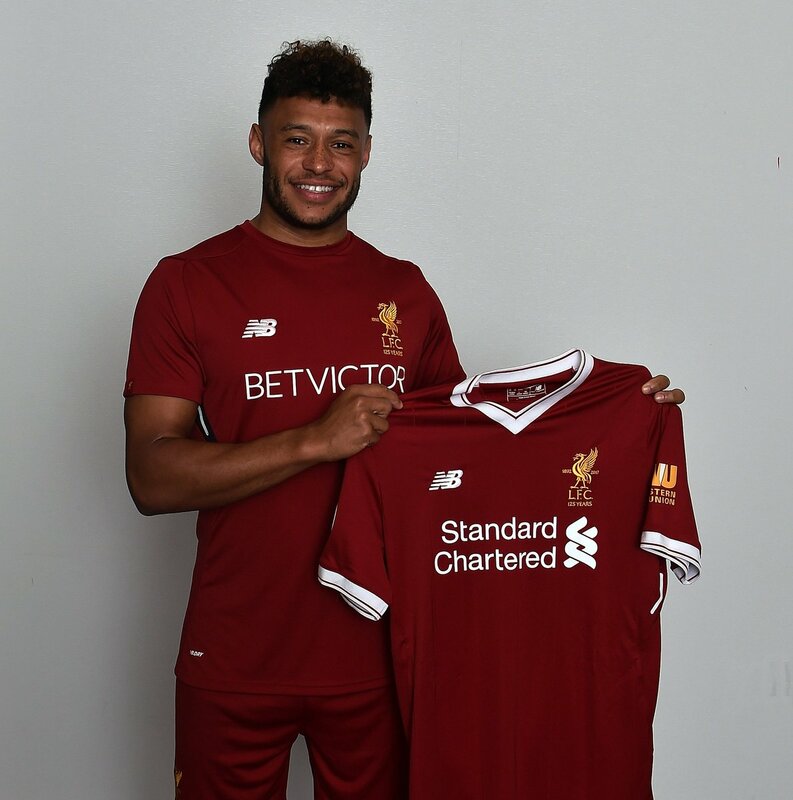 Jürgen Klopp has outlined his delight at adding Alex Oxlade-Chamberlain to his Liverpool project, three years after first noticing his talents during a Champions League game as Borussia Dortmund manager. The 24-year-old penned a long-term deal with the Reds on Thursday to seal a deadline-day switch from Arsenal. Klopp admits he has long held admiration for Oxlade-Chamberlain ever since he caught the eye of the boss after coming on as a substitute for the Gunners in a European tie in Dortmund back in September 2014. The manager told Liverpoolfc.com: “I am really, really happy we have got Alex signed. Since the last game I have been waiting and hoping we could make this transfer - and when I got the news he was ours it was fantastic. “I remember the first time I saw him play live - it was at Dortmund in 2014 and he came on as a sub that day and made a big impact. He stood out immediately because of his pace and skills and his attitude in such a big game for a young player; I remember him chasing back to make a brilliant challenge on Mkhitaryan in the box to save a certain goal. “We won that game but lost the return match at Arsenal when he started and played well, I think he hit the post. Since then I have followed him and when I heard it may be possible to sign him I didn't need to think twice. “I hear a lot of talk about positions but let's talk about the player; he is someone with really good abilities who always gives everything for his team. A player that is positive and willing to take risks to try and make positive things happen. “He may still be young but he has a lot of experience in the Premier League, Champions League and for his country. Already he is a very, very good player and I think he has the mentality and desire to get even better - and that excites me. “This is someone making a tough decision to leave one great club and come to another great club and I think he had many options, so to get him means I am delighted. Wonder if he knew he'll be playing at center back? Welcome AOC to the Greatest Football Club on the Planet. Now go out there and do everything in your power to win us lots of silverware. On a serious note though I would of preferred VVD by a country mile for the position in the team than Ox coz you already have options there. Yes and you played your part well agent AOC. Apart from your first line, no sh*t Sherlock! I am not excited about this signing. I back Hendo, Gini, Can,Grujic, Lallana, Miner and Coutinho as midfielders ahead of him. He should not be used going forward, Origi is a better attacking prospect and we loaned him out. is there any proof Klopp said anything about AOC and midfield time? i'm quite sure people just made that up with Milner signing, has it happened again?